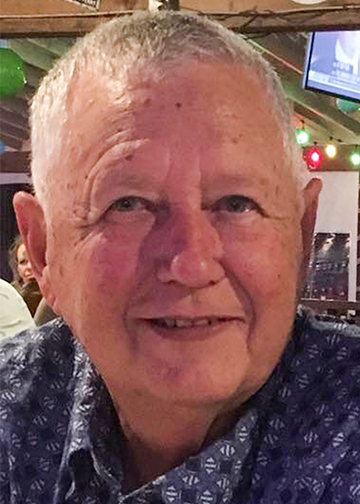 Elvin Dean Cromwell, 70, of Sour Lake, died Thursday, April 11, 2019, at Memorial Hermann Hospital, Houston. He was born on September 28, 1948, to Naomi Sylvest Cromwell and Hardy Elvin Cromwell, in Hattiesburg, Mississippi, and was a 1967 graduate of French High School in Beaumont. Dean was very instrumental in safety programs, including ISTC, in Southeast Texas during his career. He was a highly motivated professional manager with over 40 years of combined experience and education in operations, safety, environmental, hygiene, emergency medicine and construction, with extensive knowledge in all phases of a plant operations and projects: including civil, structural, piping, mechanical, equipment instrumentation, electrical and startup. Dean was an avid sports fan, particularly any team his grandchildren played on. He was a devoted family man who cherished his grandchildren and enjoyed hunting, being outdoors, and was a Dallas Cowboys fan. Survivors include his wife, Brenda Cromwell; mother, Naomi Cromwell; son, Brandon Dean Cromwell and daughter, Casey Burleson and her husband, Aaron, all of Sour Lake; sisters, Donna Burford and her husband, Mike, of Beaumont and Debbie Lopez of China; grandchildren, Kenzie Schroeder, Kyndall Schroeder, Kade Schroeder, Payton Burleson, and Olivia Burleson; and numerous nieces and nephews, friends and family, and many “adopted” grandkids. He is preceded in death by his father, Hardy Elvin Cromwell. A gathering of Mr. Cromwell’s family and friends will be from 6:00 p.m. until 8:00 p.m., Saturday, April 13, 2019, at Broussard’s, 1605 North Major Drive, Beaumont. His funeral service will be at 2:00 p.m., Sunday, April 14, 2019, at Pine Ridge Baptist Church, 13430 Highway 421, Kountze. Interment will follow at Rosedale Cemetery, Sour Lake. Memorial contributions may be made to the Mavericks Baseball Team, 11975 Dishman Road, Beaumont, Texas 77713 or online at www.paypal.me/setxmavericks. His family would like to thank Memorial Hermann TIRR’s Physicians and Therapists who worked with Mr. Cromwell for the past year. Debbie, we are so sorry for the loss of your brother. We will remember the family with our prayers. Please accept our deepest condolences for your family's loss. Praying you all find peace & comfort during this difficult time. I had the honor and privilege of working with Dean for almost 9 years . He was someone that I could always depend on for honest feedback and practical advice. I learned a lot from him. We had a lot of laughs and fun even through the challenges at the plant. My prayers are with the Cromwell family and I grieve his passing with you. My prayers for peace and comfort to the family. He was a true gentleman. Deepest condolences to his entire family and friends at this most difficult time. I am so sorry for your loss. The family will be in my prayers. May Dean rest in peace. I am so sorry for your loss.I have so many great memories of my dear cousin,may he rest in peace!!!! Gerald and I are so sorry to hear of Deans passing. Prayers for you all. Your Daddy was a wonderful man.l We are praying for all of you and thinking of you constantly. We love all of you. Gerald and I are so sorry to hear of Deans passing. Prayers for your beautiful family. You all are in our thoughts and prayers during this difficult time. I know you have many wonderful memories to cherish. Dean was a wonderful person. My thoughts and prayers are with each of you during this time. So sorry for your loss. He will be greatly missed. Prayers to your precious family. Love to all. My deepest sympathy. Know that you are in my prayers. Roy and I are so sorry to hear about your loss. Dean was a good man who very obviously loved his family. My prayer is that our gracious God will give your family the peace and comfort that only He can give. My love & prayers to you.